Fumari Premium Flavored Tobacco has been around since 1997 and has been gaining traction in the hookah community at a steady rate due to their flagship flavors that will - as they say - "make your mind tingle with taste." They began as a hookah lounge in Southern California that started making their very own tobacco and it rivaled any top tier brand on the market. Now Fumari is a household hookah name with far too many amazing flavors to name all at once. Fumari is a medium choppy cut with little to no stems that is a natural golden brown in color as it uses no additive dyes. It is also vegan friendly using no animal based glycerin or animal testing of any sort. Fumari maintains its standards of excellence by mixing the finest hand sourced, flue cured tobacco with only the highest quality ingredients. New flavors are made in small batches every day and they are packed to order to ensure they are always "strikingly fresh!" Fumari has a great variety to choose from and their 100 gram pouches are perfect for allowing Hookah users to sample and experience an assortment of tobacco flavors at an affordable price. 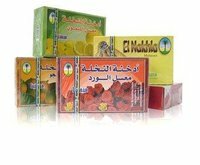 This size is packaged in resealable pouches that will keep your shisha fresh without the need of an additional air tight container. It is also worth mentioning that the packaging is full of clever humor; take a moment to read it - trust me - it's worth it. Fumari is fairly juicy and due to the high glycerin content produces the best results when using a extra-fluff pack to the rim in a phunnel bowl. This packing method is always sure to give you dragon clouds and using an HMD boosts the flavor profile. Always mix up your shisha to redistribute the juices and then sprinkle it in producing a fluff pack. Just use your thumb and index to lightly drop in the tobacco up to the rim but not over. Fumari isn't very heat sensitive so 2-3 hookah coals depending on the size of the hookah bowl you are using is usually perfect so long as it is not over packed. 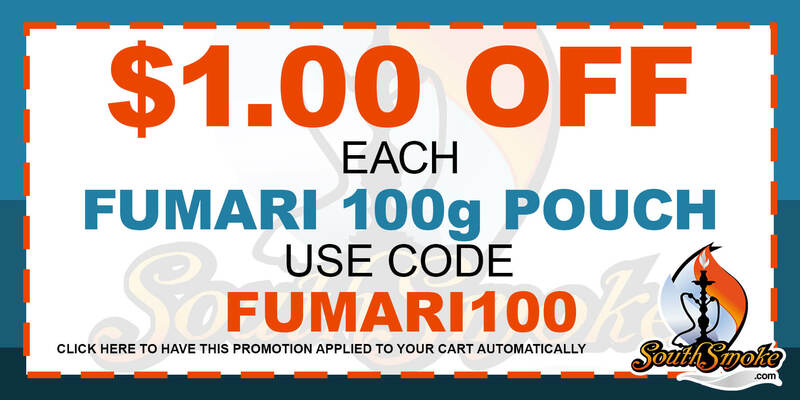 For more details regarding the Fumari Tobacco 100g Promotion, please click here.